The NCFS Mountain Training Facility is located at Gill State Forest on the banks of the Linville River and near the town of Crossnore in Avery County. 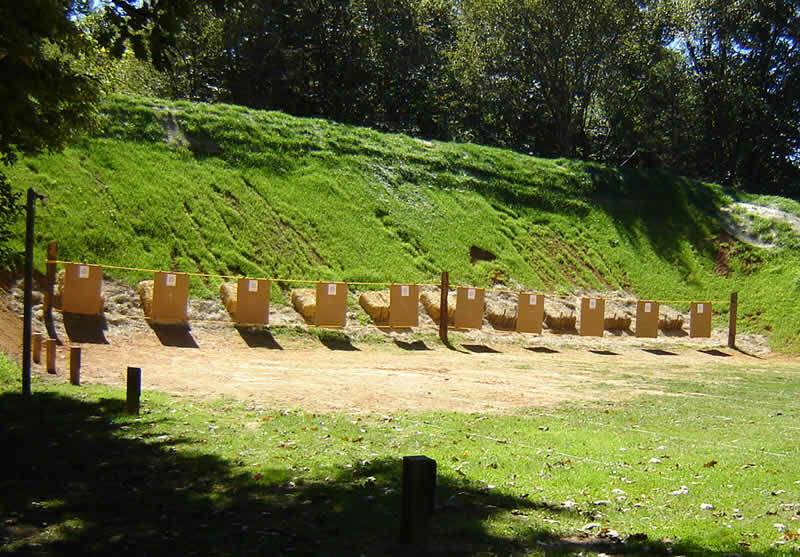 It is open to all state government agencies and features an outdoor firing range, low ropes course, state of the art audio-visual equipment and wireless internet access. The area features rivers filled with stocked trout, waterfalls and hiking trails leading to the historic Sloop Dam. Nearby is the popular Grandfather Mountain, home of the mile high swinging bridge, Blue Ridge Parkway and area ski resorts. Check in time 3:00 PM, and check out is 10:00. Lodging facilities located on the property include the Corpening Lodge, Helitack building and two large dormitories containing 15 sleeping rooms capable of accomodating two people. 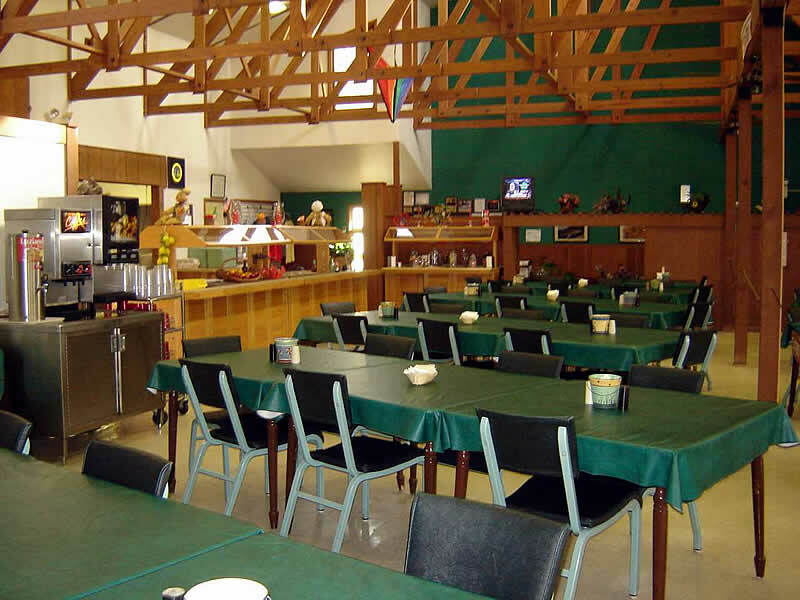 The Corpening lodge, located atop a ridge overlooking the forest, is noted for its rustic charm accented by a unique collection of logging and fire fighting memorabilia. 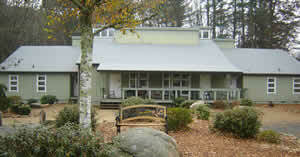 The lodge is ideal for retreats or small training sessions consisting of no more than 16 people. It features a large common room with open fireplace, full kitchen, cable TV and an outdoor, covered grill. Bunks are located in four multi-person rooms. 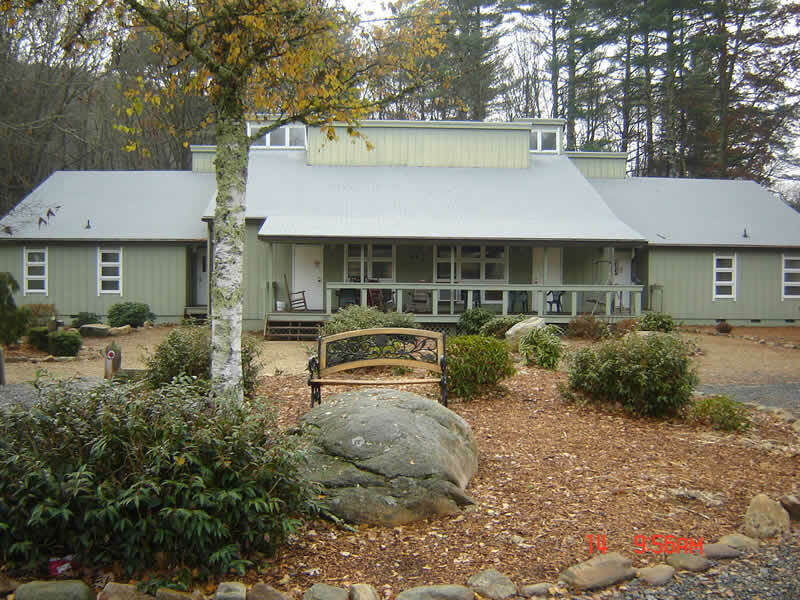 The Helitack building, located at the Linville River Nursery, just down the road from the main campus, features a full kitchen, outside gas grill, common room with TV/DVD and five multi-person bedrooms. The Helitack is appropriate for groups consisting of no more than 16 people. Check-in time at the facility is 3 pm. Check out time is 10:00 am. 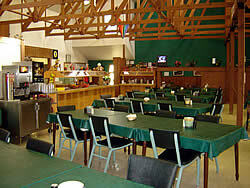 Homestyle buffet meals are available in a 110 person capacity dining room. The meals are nutrionally balanced and special dietary needs, including vegetarian meals, can be accomodated if requested at least one week in advance of arrival. Special food requests may be subject to a per-meal fee, payment for which is the responsibility of the requesting party. 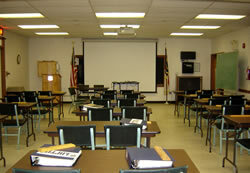 Box lunches may be requested for field trips and a variety of snack options are offered for an additional fee. There is also a large, sheltered outboor barbeque grill available. The facility accepts payment by cash, check, ACH transfer, Visa, Mastercard and debit cards. Please contact us at 828-733-4242 for more details. The campus is on US Highway 221, just south of Crossnore. If you are traveling south on US 221, look for the facility on the left at the foot of the hill. The center is set back some distance from the highway, across the Linville River. 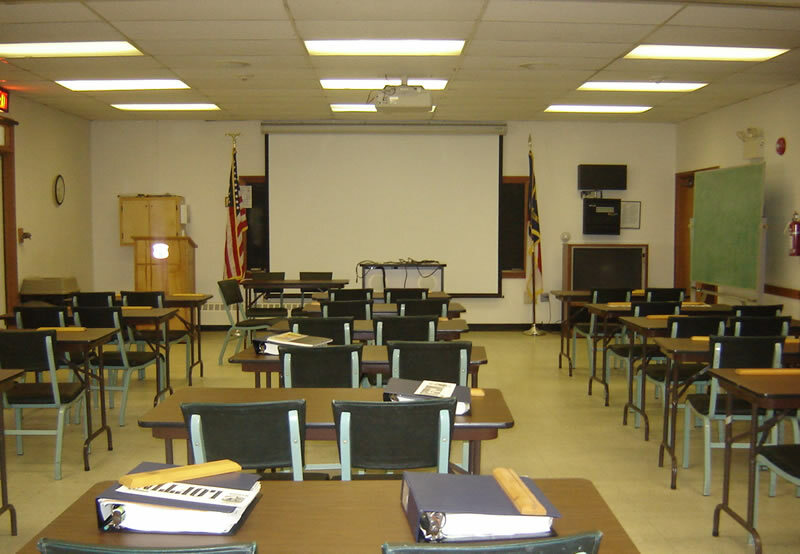 For more information about the NCFS Mountain Training Facility, or to reserve classroom and/or lodging at the facility, please contact facility supervisor Chasity Webb at 828-733-4242.